Regular classes in Qi Gong for beginners in Basingstoke and Caversham, Reading from a qualified teacher with many years' experience, as well as 1-2-1 training and corporate Chi Gung throughout north Hampshire and Berkshire. Mainly working with the simple Dragon and Tiger Qi Gong set, these Chi Gung (Qi Gong) classes in Basingstoke and Caversham are aimed at beginners, so no experience is required. We follow the Taoist Water Tradition, so emphasise the soft and gentle side of Qi Gong, making these classes ideal for everyone, whatever your physical capacity or age (over 18s). Concessionary rates for Chi Gung classes: If you're really keen to train in Chi Gung but truly can't afford to do so, please come to the first free session and we'll see if we can work out an affordable rate for you. What is Chi Gung / Qi Gong? Chi Gung comprises a series of soft, gentle movements which work to maintain and improve your body, mind and energy's natural tendency towards optimal health and balance. The size of the Chi Gung classes in Reading and Basingstoke is small, allowing for individual attention and to encourage everyone to progress at their own pace. As these are ongoing Chi Gung classes rather than a 'Chi Gung Course', new starters are welcome to join at any time. Please email me for further information or call 01256227448. You must be over 18 to join in the Chi Gung class. Please wear whatever clothes you feel comfortable in and which don't restrict your movement. Ideally, shoes should be soft and flexible with thin, flat soles, but trainers or even socks are fine to start with. Depending on your individual capability, Chi Gung can be done either standing or sitting, and part of the class always involves some sitting exercises. Chi Gung differs completely from a standard 'western' exercise class. The intention in Chi Gung is to de-stress your system, not to push it to the limit and stress yourself more! The golden rule in Chi Gung is never to work at more than 70% of your mental, physical and energetic capacity. Any time during the class, you are free to stop the exercise you are doing, sit down, walk around, have some water, in fact anything that YOU need to do. If you have any questions or concerns you would like to discuss before coming to your first Chi Gung class, please phone (01256227448) or email me. This Chi Gung system is some 1,500 years old and is still practised in China today. It comprises a series of seven defined movements to stimulate and balance the flow of chi throughout the body and remove stagnant chi. This can result in an improvement in overall well-being and an increase in the body's chi (energy) levels, as it acts much like a daily acupuncture tune up that you can do for yourself in about 15 minutes. These Chi Gung movements can also help reduce stress, whilst improving physical balance, co-ordination and flexibility. Dragon and Tiger Chi Gung can be practised by anyone whatever their state of health, and even if the movements are not performed perfectly they can still be highly beneficial. Standing - a core practice of Chi Gung to increase internal awareness, work with body alignments to improve posture and reduce tension, and improve the smooth flow of chi throughout the body. 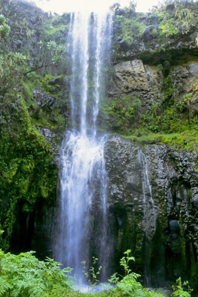 Outer Dissolving - having started with sinking the chi, this practice moves on to scanning for and dissolving physical and energetic blockages. Cloud Hands - a slow, continuous Chi Gung exercise to integrate the body physically and energetically, carrying forward the skills of standing into movement. Spine Stretch - a Chi Gung movement unique to Taoism, it activates the chi of the spine and brain, as well as being highly beneficial physically for the spine. It is particularly useful for those who use computers for long periods. Simon has been training in Aikido since 1980 and teaching since 1985. In 1996, he began to study and work with several complementary health and self-development systems and he is a member of the Federation of Holistic Therapists. Having had initial contact with Chi Gung in 2004, he attended a number of short Chi Gung seminars with Bruce Frantzis. 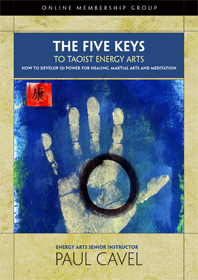 In 2008, he attended an Energy Arts instructor training course and was certified as a Level I Instructor of Dragon and Tiger Chi Gung and, in 2009, was certified as a Level 1 Instructor of Opening the Energy Gates of Your Body Chi Gung. He practises at least one of chi gung, tai chi and bagua every day and since 2009 has regularly attended additional training in the Energy Arts system with Paul Cavel, a senior student of Bruce Frantzis. He is also recognised by the British Aikido Board as a Level 3 Coach, holds the Award in Education and Training and a Level 5 Qualification in Leadership and Management..
Buy books by Bruce Frantzis. 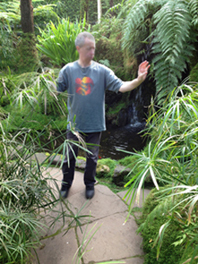 Watch a video of Paul Cavel demonstrating Dragon and Tiger Qi Gong (Chi Gung). A comprehensive review of the health benefits of Chi Gung and Tai Chi. Can't commit to a weekly class? Monthly Saturday half-day Qi Gong Workshops in Bramley. "If I do my chi gung first thing in the morning, I find it revitalises me for the day." "Relaxation and more awareness of my body, in terms of what it was doing and what muscles and organs each movement was affecting." "It was a lot less intensive than I had thought it would have been… I had been expecting more of a 200% regime than a 70% regime, but that was not an unwelcome development. I occasionally felt things that I imagine could be described as chi…. Hands feeling resistant or guided." "The most memorable sensation was feeling as if my head was floating off my body when trying to get the posture right. Also, the first time I tried Movement 1 I felt, probably imagined, that energy was radiating from my fingertips into the ground. I am more relaxed both physically and mentally. I have a bit more energy and a heightened awareness of both my surroundings and my own movements." Throughout the programme, you will learn each of the Five Keys in-depth, and weave in specific aspects of the horizontal (turning and twisting) and vertical (bending and stretching) planes of motion - supercharging and strengthening your core with each progressive lesson. Working with the horizontal and vertical planes together is what allows deeper access to your insides. It also forms the basis for circularity and eventually spherical motion in the internal arts, which all dedicated students aim to achieve. Please go here for more information and to buy.